Discussion in 'Apple iPad News' started by iDan, Apr 2, 2010. 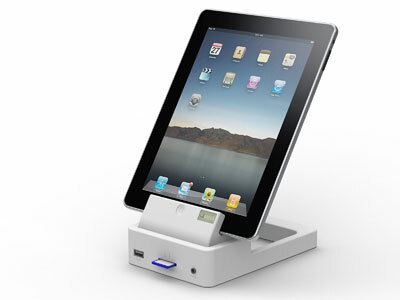 Sleekgear has announced a new iPad Dock, that just might be the most wanted accessory for the iPad. The docking station will offer a front Audio port, SD Card Reader and USB connector for a digital camera. 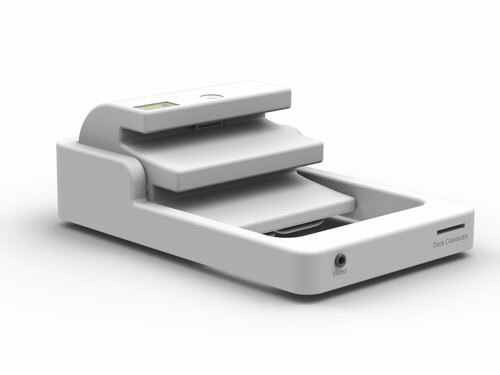 This dock will use the standard cable provided by apple to sync or charge. One of the coolest aspects of this design is it allows you to place the iPad Vertical or Horizontal. We expect this item to be available late April, but a price has not been announced. 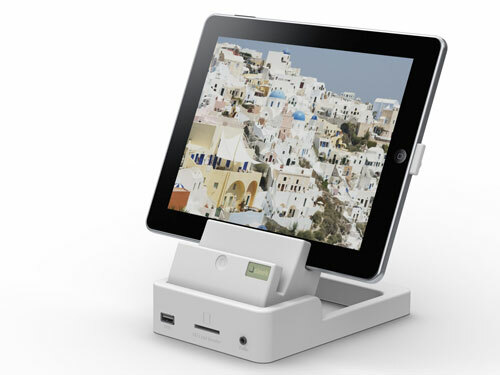 For more information visit SLEEK, your essential accessories for IPAD and Apple mobile devices. Very interesting. I really like the fact that it can hold the iPad in landscape mode. Click through to their website and you will also see quite a few bags and even a nice folio for the iPad. I am a professional photographer and all of my cameras use Compact Flash Cards. So far everything I have seen uses SD cards. Can't someone make a piece that accepts CF cards? I feel for you Tom because I had the same problem until I changed cameras. The CF card is, I'm sorry to say, the "disquette" of the flash world. There are adapters and card readers you could use if need be. I asked the same question and the answer is yes they will have a model with compact flash instead of SD. Compact Flash user here as well (not sure why Canon hasn't switched over their SLRs). I guess you could always just hook your camera up via USB. That brings up a question I've had though... if the iPad can read directly off of your camera through USB... wouldn't it essentially be able to read directly off of a USB hard drive or flash drive? That brings up a question I've had though... if the iPad can read directly off of your camera through USB... wouldn't it essentially be able to read directly off of a USB hard drive or flash drive? Couple of points / questions / clarifications. So you use the first slot for portrait and the second (with some kind of adaptor on the miniport) for landscape? If you're in landscape with the adaptor can you still use all of the functions including the SD slot and charging? What's the LED piece on the right front? What doe that show you? Is it SD in front and CF in the back? Looks like video out in the back - what's the plug in the front? Audio out or in?